Which came first, the shrub or the egg? The egg, naturally. Styrofoam eggs to be precise. 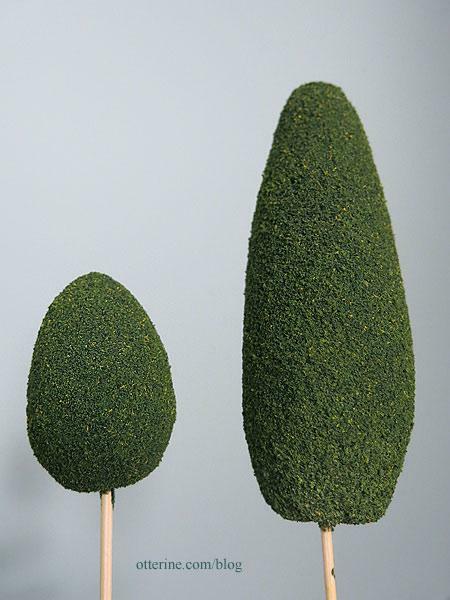 I'm a huge fan of Squeeze Me trees and shrubbery, but if you need a lot of them, it can get very pricey. So, I'm making the pieces myself. I've posted a tutorial on my blog.